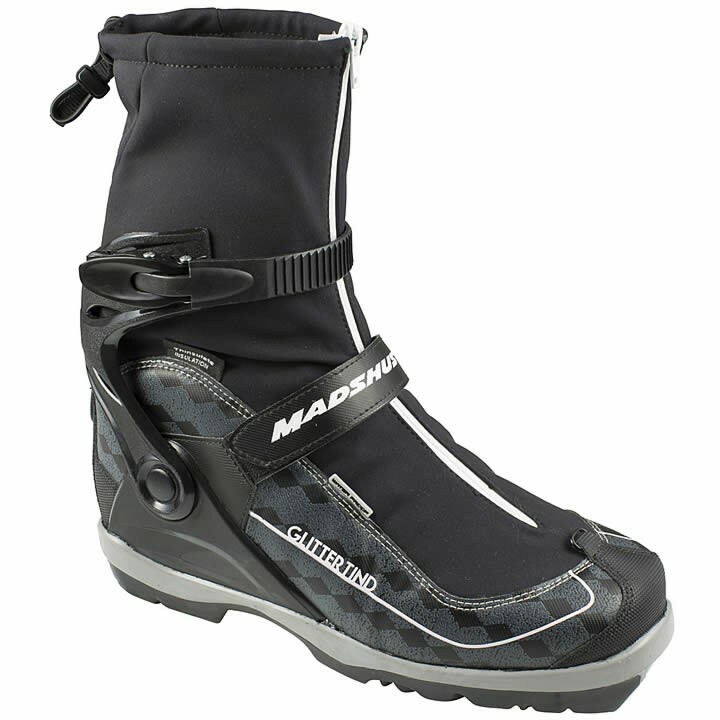 The Madshus Glittertind BC Ski Boot has a stiffer forefoot flex and higher cuff which deliver optimal torsional rigidity for both ascending and descending through steep backcountry terrain. Madshus used Thinsulate™ and MemBrain® Softshell technology in this top touring boot to keep you warm, dry, and comfortable during all off-trail adventures. Lightweight Thinsulate™ insulation keeps your feet warm. MemBrain® Softshell Construction: Madshus boots feature MemBrain® softshell lace covers. This waterproof and breathable material helps keep the foot warm, dry, and comfortable.